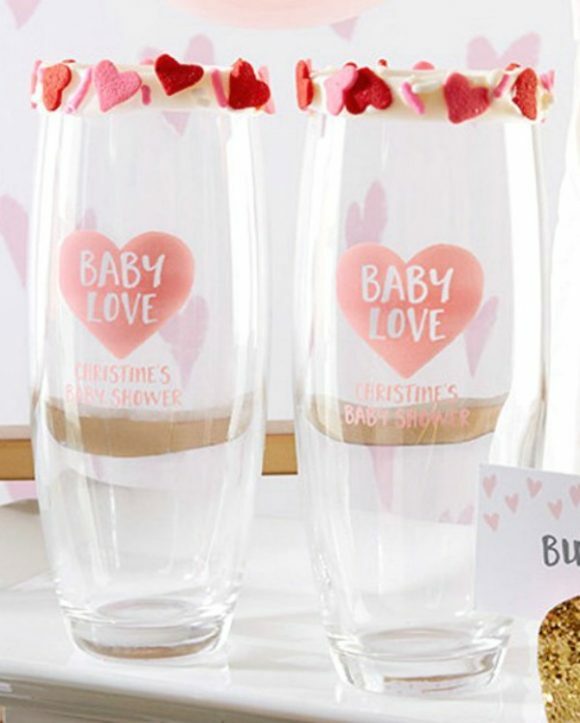 The 12 Most Gorgeous Girl Baby Shower Party Favors! Organizing a baby shower can be quite daunting. There's so much to sort out, from the party food to the baby shower decorations. 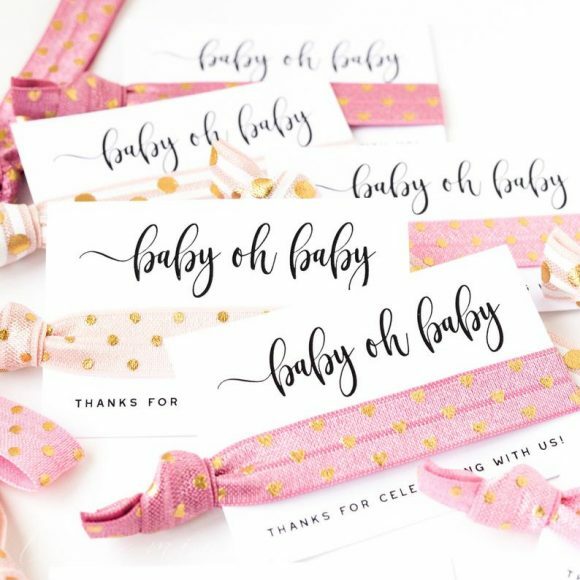 To help you with all your preparations we've rounded up the 12 most gorgeous girl baby shower party favors so you can send your guests home with a smile on their face! 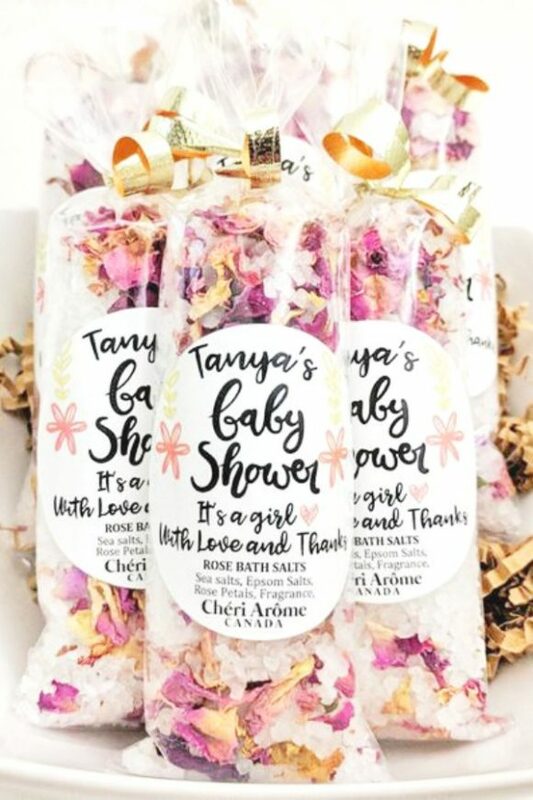 We've found so many beautiful ideas for girl baby shower party favors, such as bath salts, lip balm, candles, and so much more. To start off our list, we have this cute little pink crochet baby sneaker bootie keychain. It's the perfect gift for your guests to carry around with them as a keepsake of your fabulous baby shower. You can never have too many hair ties. Not only will these look gorgeous in your hair, but you can also even use them around your wrist as a bracelet. They come in a number of different tones of pink, with gold dots and an adorable 'baby oh baby' thank you tag. Charm bracelets are a magical girl baby shower party favor and these star ones are too cute! Your guests are going to love taking one home. They must make a wish when they place it around their wrists. The wish comes true once the string starts to fray. 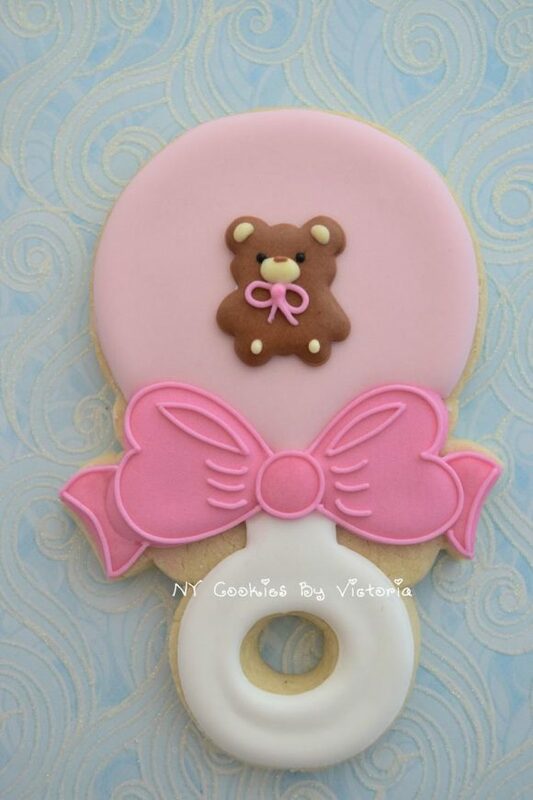 Who can resist an adorable pink teddy bear rattle sugar coated cookie? Place them in pretty cookie bags for your guests to take home and feast upon! Send your guests home with some fragrant bath salts to help them relax and feel refreshed. Add a handful of these bath salts, made with sea salts, Epsom salts, fragrance, and rose petals, under warm running water for the ultimate spa bath! Treat everyone at your baby shower to a delicious lip balm placed on these awesome personalized illustrated favor tags, designed to look just like you. Stock up on some EOS lip balms, unscrew them to open them up, center the bottom half under the punched out hole, and then screw the lid back on the balm for a fun baby shower party favor. These stemless champagne glasses will most definitely put a smile of your guests' faces! With them, they'll be able to make an extra special toast once your little girl arrives. Each glass can be personalized with a name and your baby shower date. 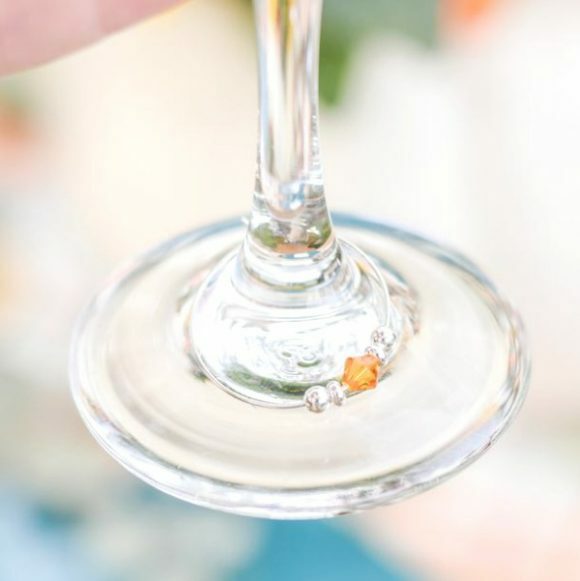 Charms are the perfect way to keep track of your glasses during a party, so what could be more beautiful than a Swarovski crystal wine charm party favor? It a fabulous way to thank your guests for attending your baby shower. You can also show your appreciation with a lovely bottle of champagne or wine, that your guests can drink once they get home. 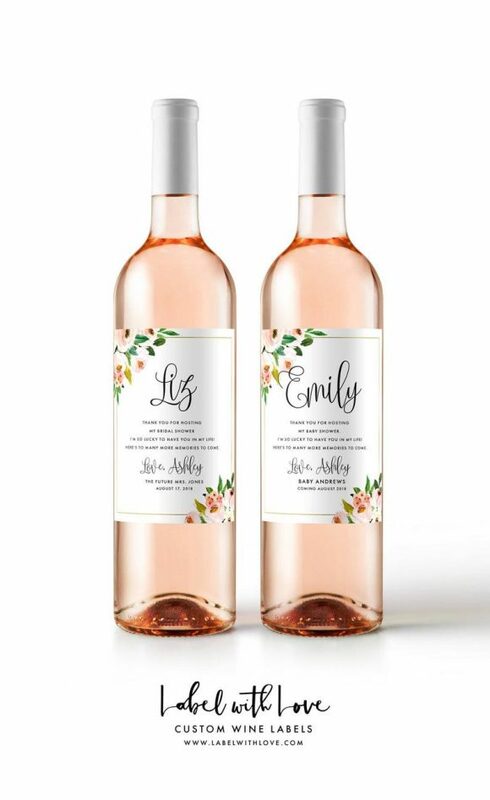 These stunning personalized labels can be glued on to the bottle of your choice and personalized with a name and baby shower date. I can't think of a better baby shower gift than some wildflower seeds to plant and watch grow into beautiful flowers! 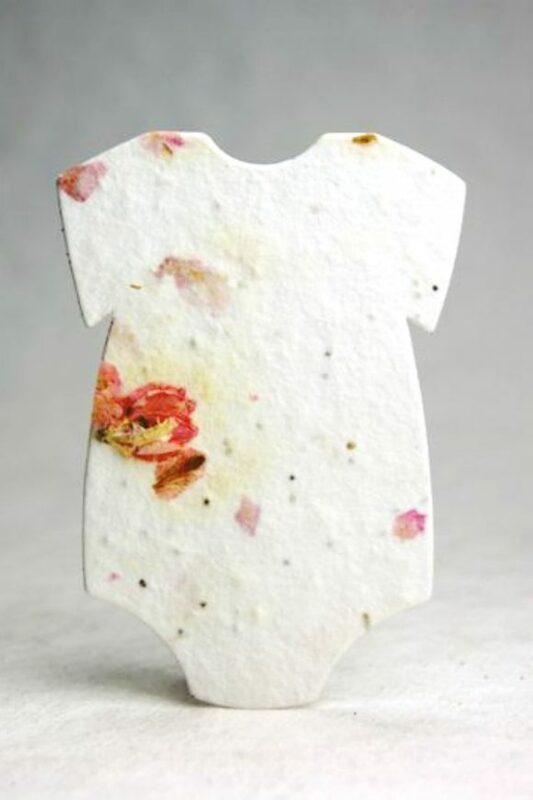 Each petal sheet comes in the shape of a onesie and can be planted in a pot or a flower bed in a garden. If you're looking for something a little different, look no further because we have a gorgeous baby shower gift your guests will adore! 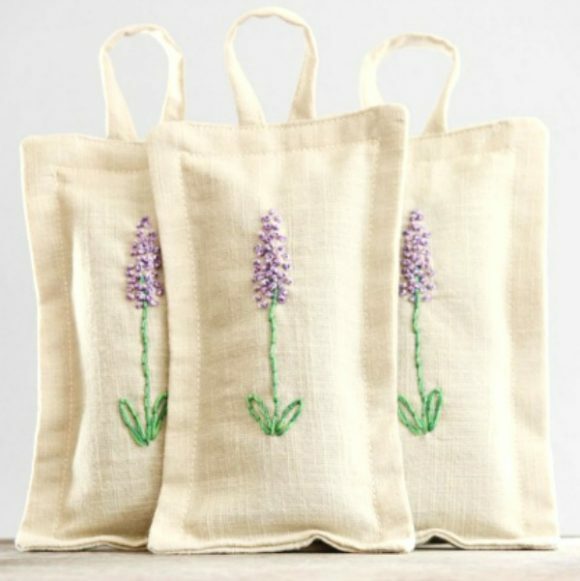 These pretty lavender sachets are a wonderful addition to a wardrobe, drawers, bedroom or bathroom, that freshen linen and act as an excellent as an insect repellent too. 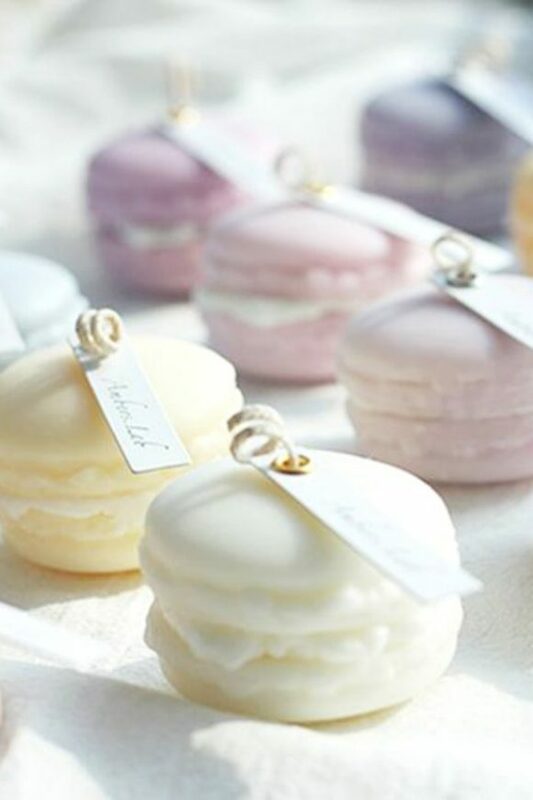 To finish off our list, we've included these sweet pastel-colored macaron candles. They come in a number of different colors, scented either of English pear and freesia. They will make your guests homes smell incredible! Need more baby shower party ideas? Need baby shower craft ideas? Need free birthday party printable decorations? 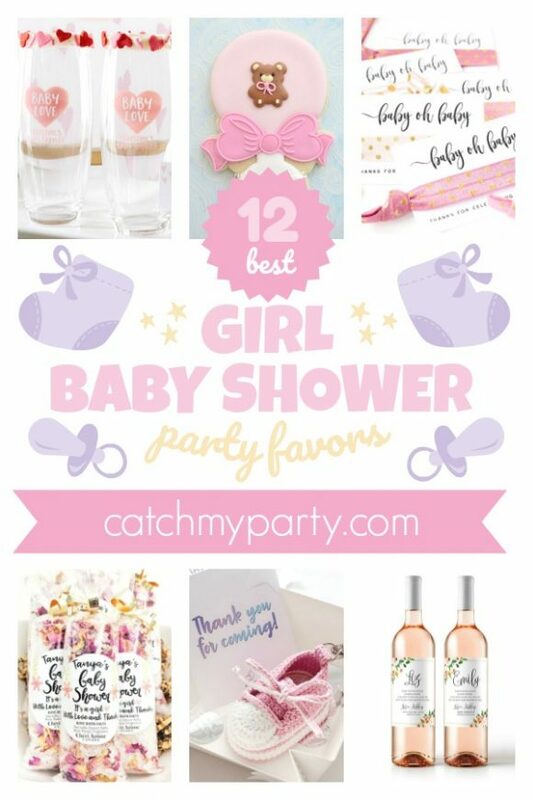 For more inspiration, check out all the stunning baby shower on our site, and check out these baby shower party supplies from vendors with listings on Catch My Party! **Some of these links may be affiliate and we might make a small commission if you click and purchase.